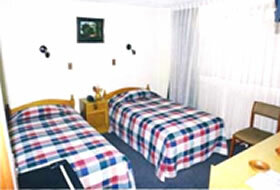 A real dream place specially designed and equipped for guests with comfort and quality services to satisfy the most exigente.Contamos with 40 fully carpeted rooms, equipped with color TV and cable-remote control, phone dialing National and International Direct, refrigerator and private bathroom equipped with tub, shower and personal care items, with warm water service 24 hours a day and wireless Internet Rooms are located on the second, third and fourth level of the establishment. 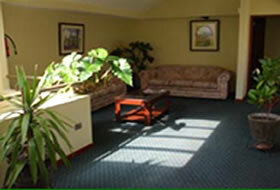 All are equipped with a terrace where you get natural light from a skylight. 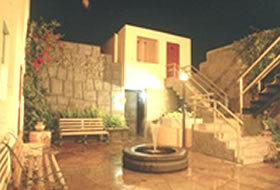 We have single, double, double, triple and semi suites with jacuzzi. We have extra beds upon request of our customers. 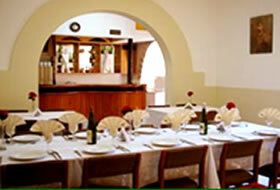 Dream of three-star hotel strategically located in the historical center of Arequipa, Calle Rivero 421 to 423 Cercado. Its location allows quick access to major tourist attractions in the city, five minutes from the Plaza de Armas and the Cathedral of Arequipa. 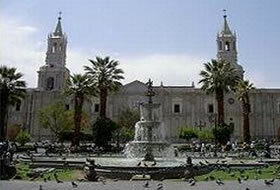 Arequipa, known as the White City for its beautiful white walls of ashlar stone, a volcanic stone, Arequipa lies at the feet of Chachani and Misti volcanoes and snow Pichu Pichu. In the city center, declared World Heritage Cultural Heritage by UNESCO in 2000, you can see temples and colonial baroque style and the Monasterio de Santa Catalina, a Spanish city in miniature stone streets, beautiful courtyards and plazas. Sabandía Tiabaya and Tingo, in the countryside, are places to visit, and the irresistible Arequipa cuisine is the perfect complement to your visit. Located just 3 hours and 45 minutes from the city, is the Valley and Colca Canyon where you can see colorful pre-Inca terraces cultivated to date with quinoa, corn, barley and wheat. In pre-Hispanic times, the department was inhabited by Collaguas and Cabanas, today, people have learned to conserve their Colonial churches in Yanque, Lari, and Madrigal, and still wear traditional clothing. In the valley also are adventure sports like mountain biking, trekking and canoeing, and the Cruz del Condor, you can view the majestic flight of the condors. The rooms are spacious and fully carpeted, fully equipped with private bathroom, color cable TV, telephone and cold bar, besides Semi Jacuzzi.Contamos Suites with a conference room with capacity for 60 people. Guidance also provides general tourist.